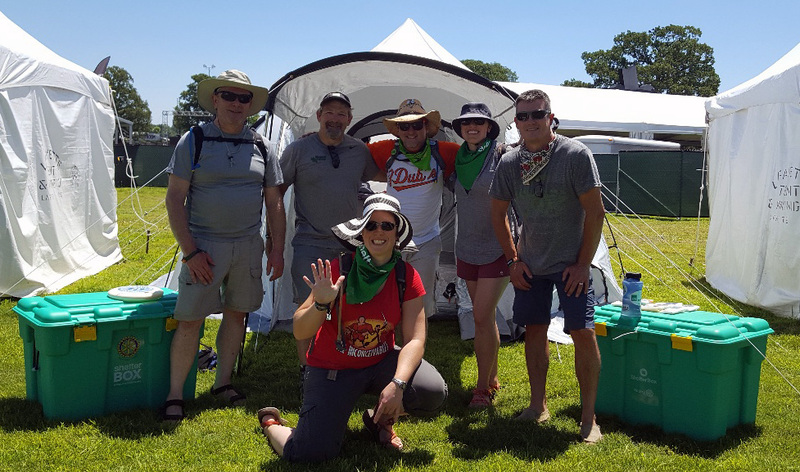 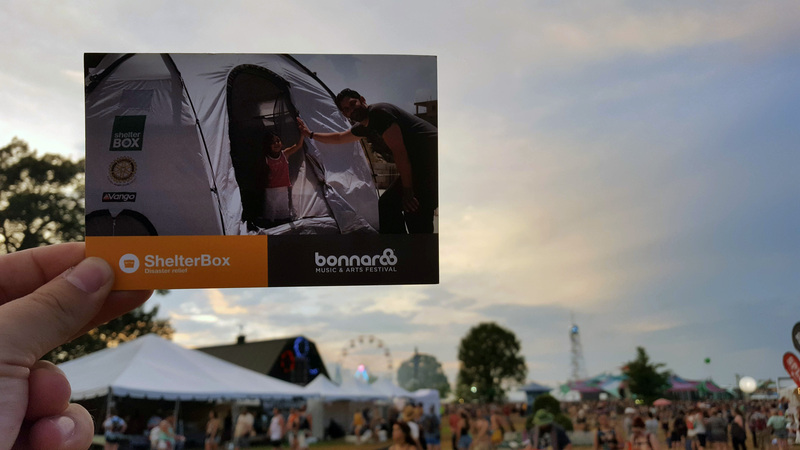 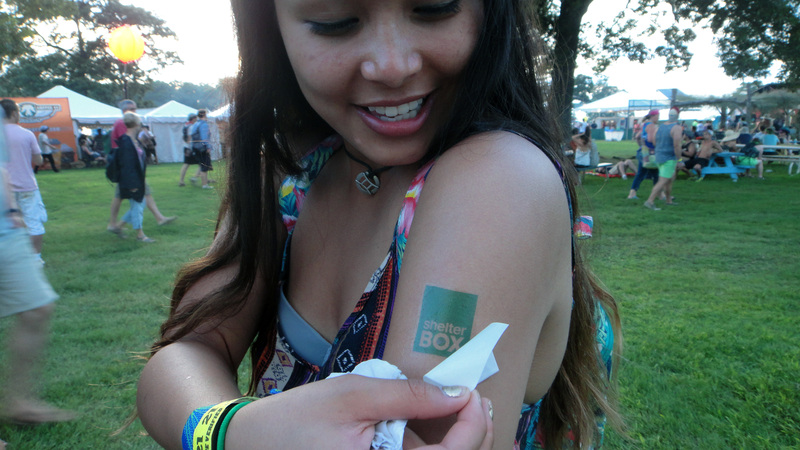 ShelterBox USA was one of 20 nonprofits selected to exhibit at the 2018 Bonnaroo Music & Arts Festival. 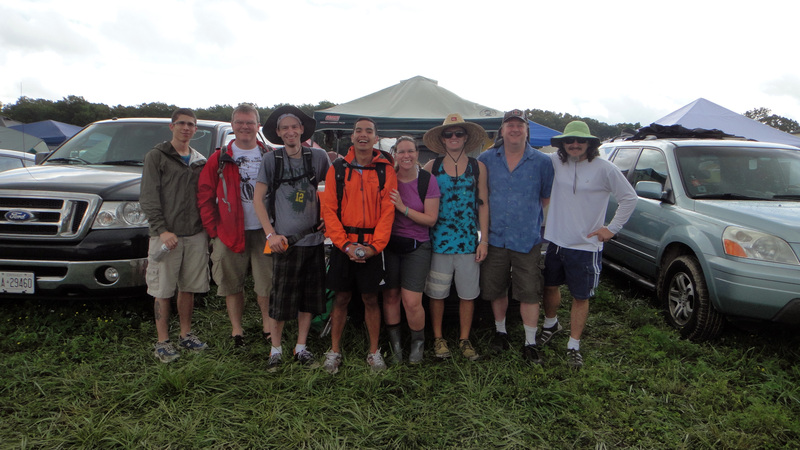 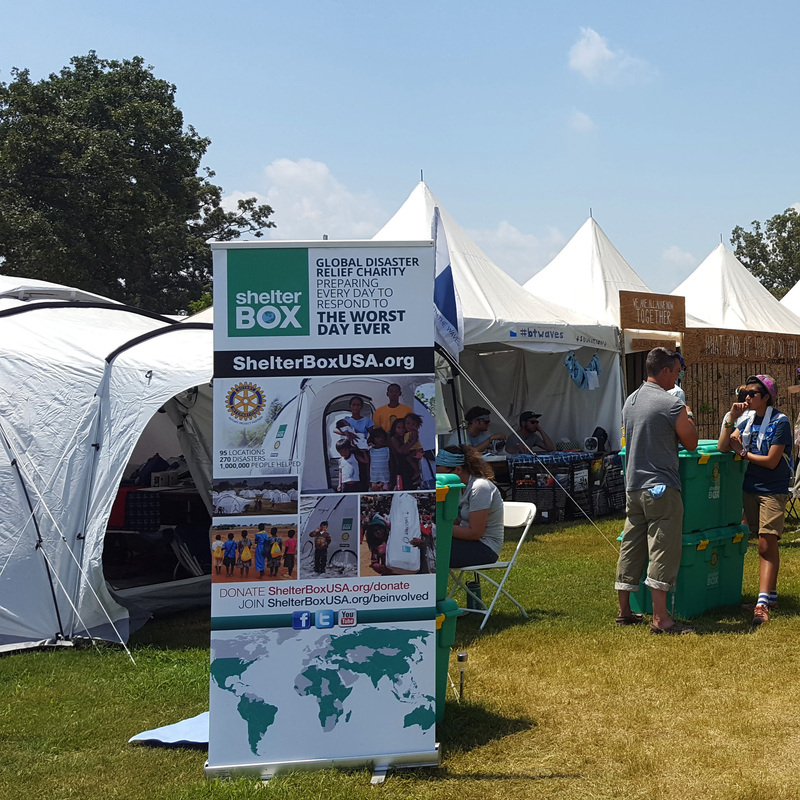 ShelterBox USA was one of the featured charities in Planet Roo, the charity row located in the very center of the festival grounds. 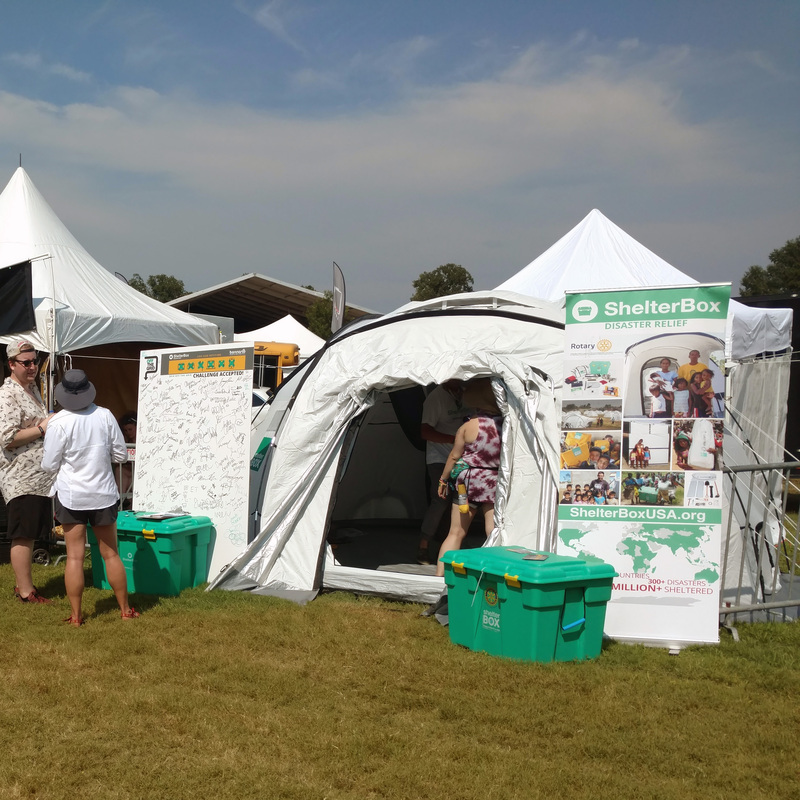 2018 marks the fourth year ShelterBox has been invited to exhibit and engage at Bonnaroo. 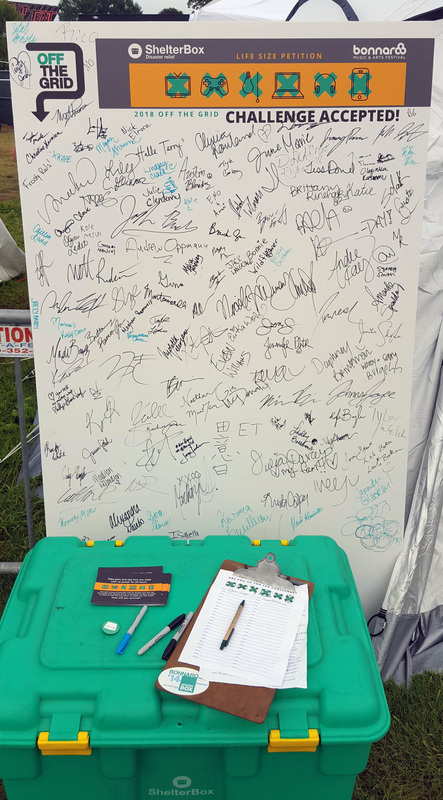 The music festival, which features 150 artists of mixed musical genres as well as comedy sets, static art displays, and interactive performances, takes place in Manchester, TN, just off of I-24 and halfway between Nashville and Chattanooga. 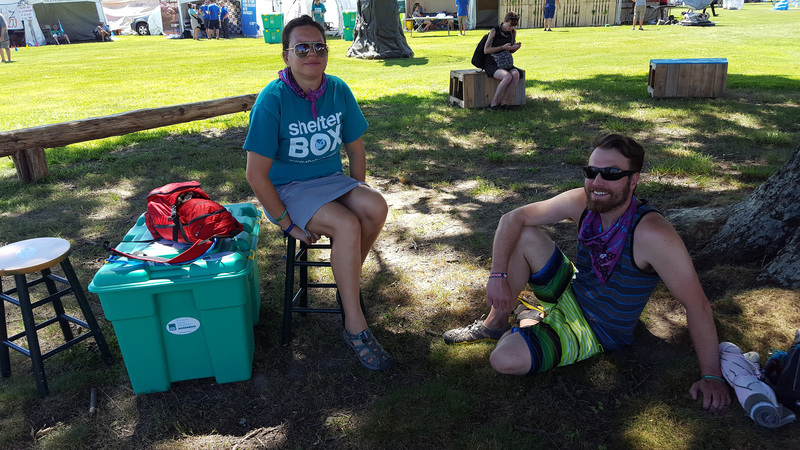 With an attendance of roughly 75,000 to 80,000 annually, the small town of Manchester, for a short time, becomes the sixth largest city in the state. 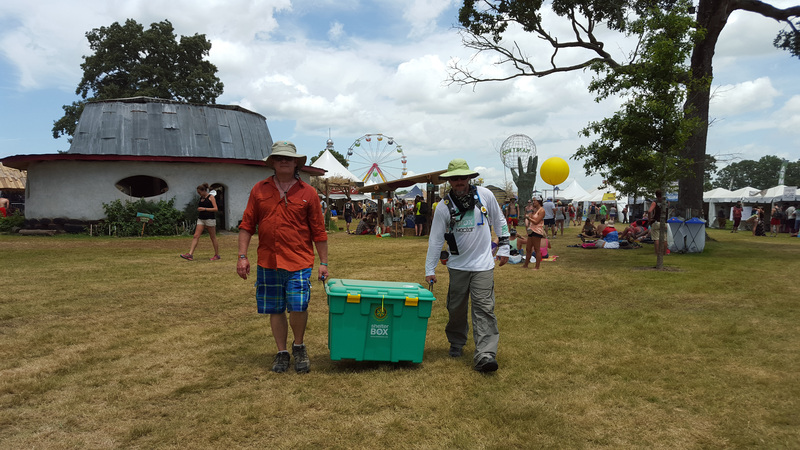 2018 featured headliners like Muse, Eminem and The Killers. 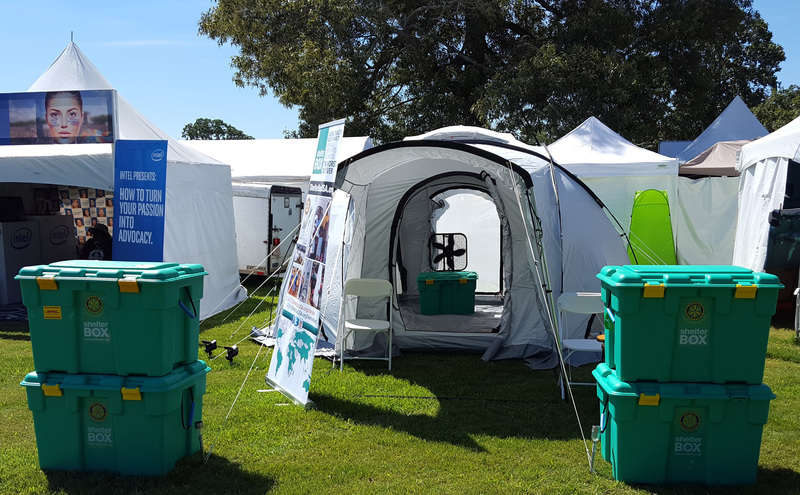 Throughout the weekend, the ShelterBox team enjoyed meaningful conversations with attendees around the concepts of disaster relief and volunteering. 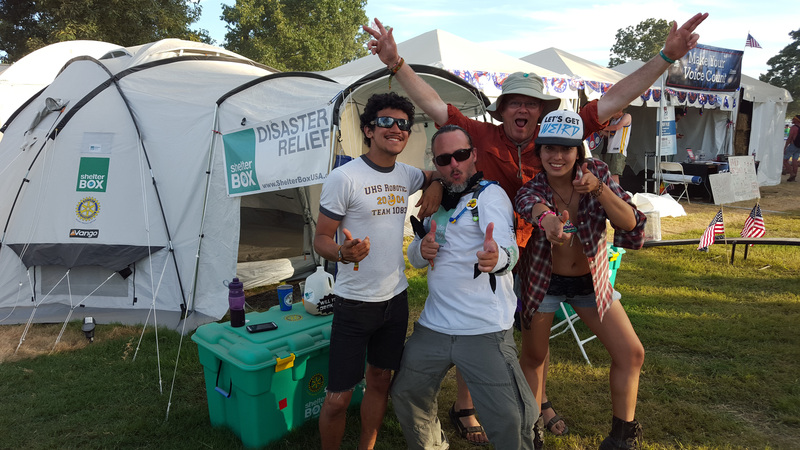 A team of six ShelterBox volunteers worked in and around the tent each day, inviting attendees to see the contents of a ShelterBox and to participate in the new Off The Grid challenge. 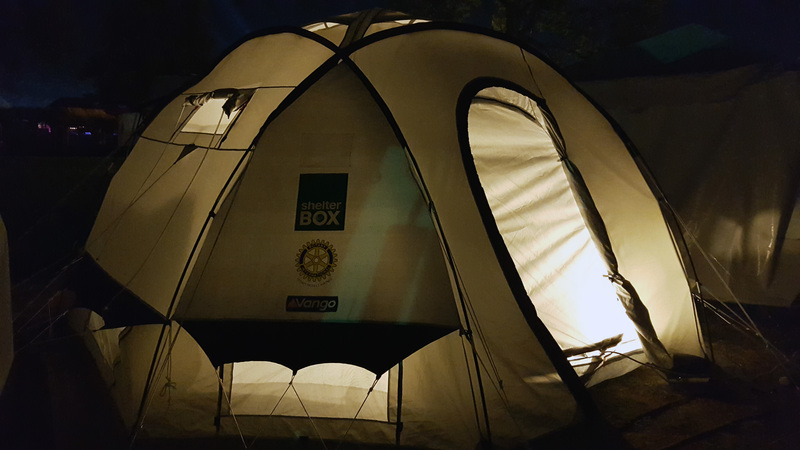 Off The Grid invites you to go 24-hours without power. 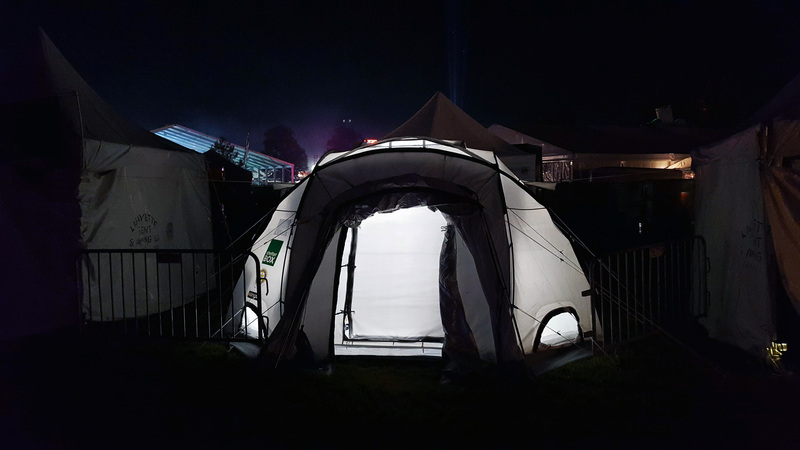 When disaster strikes, families lose more than just access to social media. 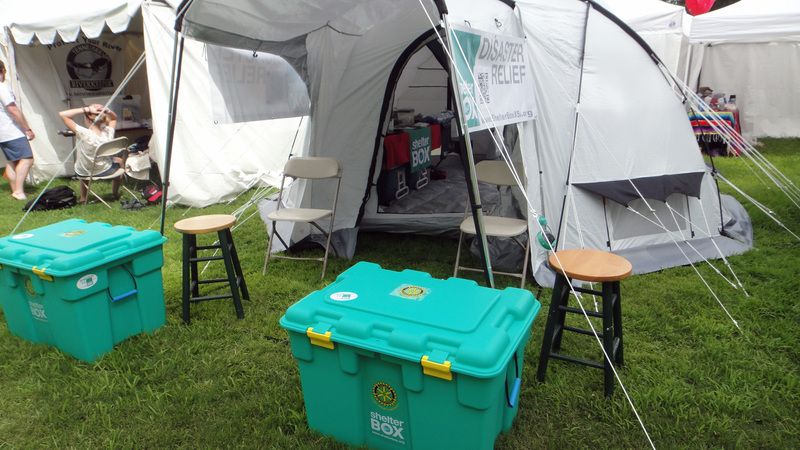 By going Off The Grid, you can better understand the challenges faced by disaster survivors and raise awareness for the humanitarian work of ShelterBox. 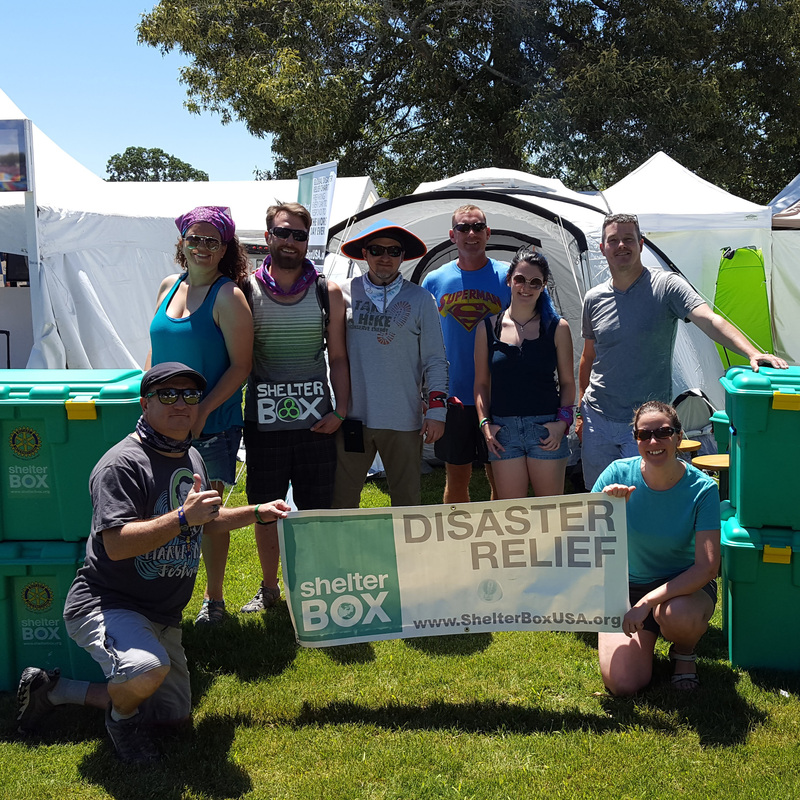 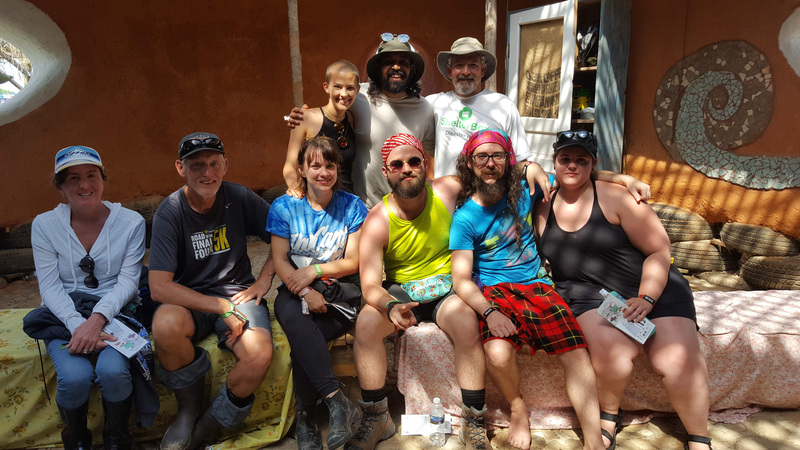 In addition, ShelterBox USA presented a class at the Planet Roo Academy called Disaster Preparedness: Lessons Learned from a Disaster Relief Charity. 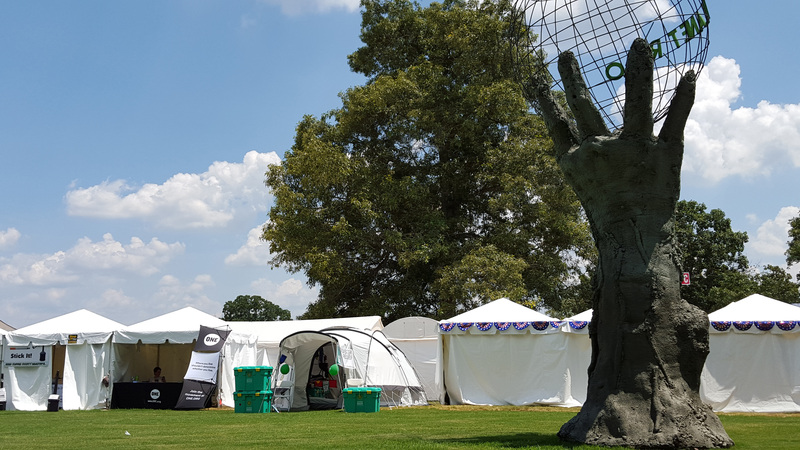 Key areas of discussion focused around the different types of aid that ShelterBox sends in the field, the practical uses for each in domestic situations, as well as the types of regional disaster situations that affect the US. 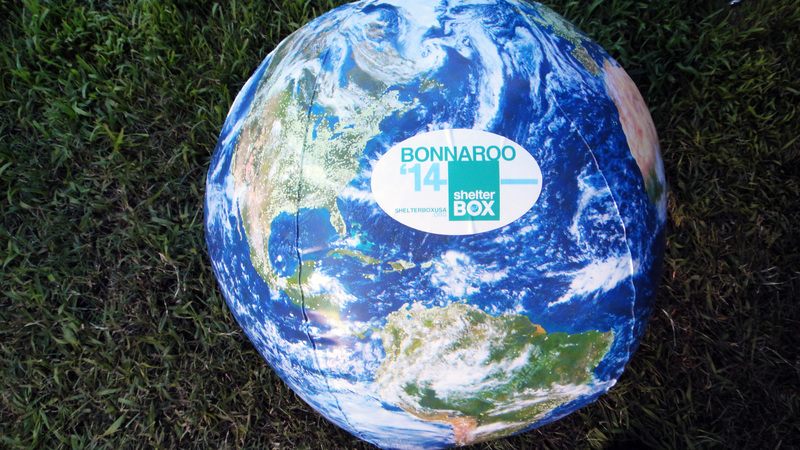 Learn more about the Bonnaroo Music Festival and its commitment to sustainability and inspiring change.